Thank you for having the confidence in us and allowing us into your home. It was a pleasure working for you and Steve. Enjoy your new living space. We met with a few contractors to get quotes and input on a basement finishing project for our approximately 800 square ft.unfinished basement. Thank you Kate for putting your trust in us and allowing us in your home! 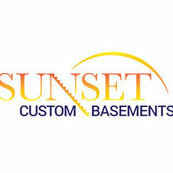 We are so happy that you are pleased with the finished basement we created for you and look forward to the next project! Your puppy looks so happy in the new basement! Thank you for putting your trust in us, it was a pleasure to work in your home. Best wishes for many happy years!